The refined restaurant inside the hotel proposes a cuisine based on traditional menu of Romagna personally designed by a fantastic chef and his excellent young and dynamic staff: fresh homemade pasta, tasty piadina and fresh fish of the Adriatic are only some of the succulent dishes that guests will have the pleasure of tasting. 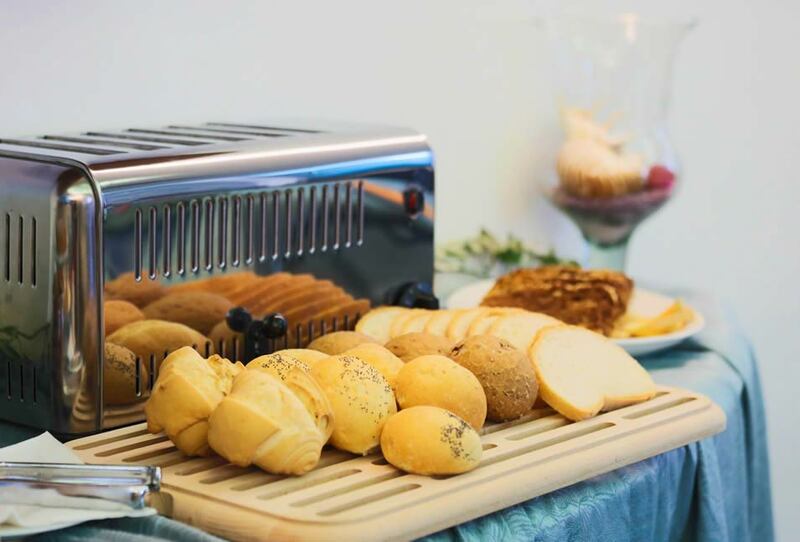 In the morning, a rich breakfast buffet is served until late. 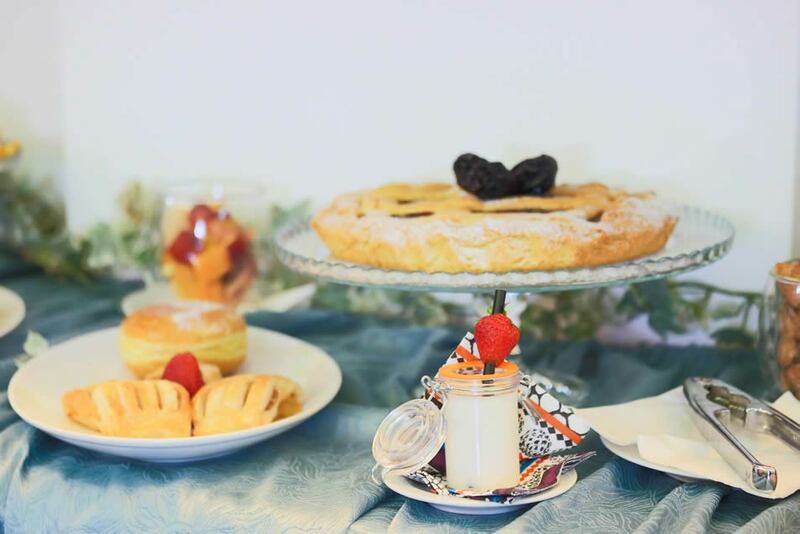 The usual variety of delicious homemade cakes, fragrant croissants, fresh bread freshly baked, delicious jams and jellies, yoghurt and fresh fruit will be accompanied by cold cuts, cheese and other delicious specialities dedicated to lovers of salty breakfast. Fruit juices, milk, and other beverages complete the extraordinary offer of breakfast in the hotel. Espresso coffee and cappuccino, typical of the true Italian coffee, are prepared and served directly from the bar. 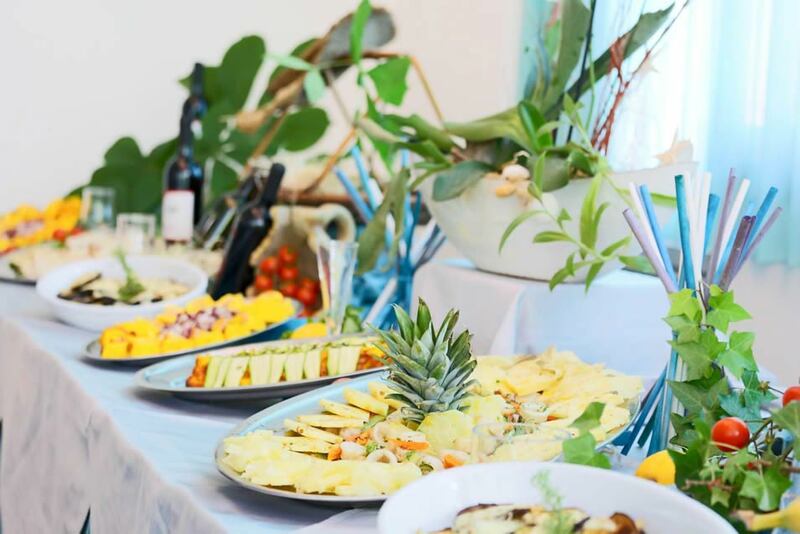 At lunch and dinner, our hotel with restaurant in Rivazzurra reserves for its guests delicious meat and fish menu with seafood specialties, tasty dishes and healthy vegetarian options. We reserve the utmost attention to the needs of coeliac guests or with alimentary intolerance of another kind that require alternative menu. Not to forget the tempting desserts proposed by the chef at the end of each meal.